Paravalvular leak is a leak around a valve replacement. A form of leaky heart valve. When someone has valve replacement surgery they have a new valve put in place. This valve is usually put in place with no gaps between the edges of the valve or the surrounding natural heart tissue. Sometimes gaps can be left or develop around the replaced valve known as Paravalvular defects. Blood can leak through these defects, known as Paravalvular leak. If the leak is significant it can lead to symptoms. Paravalvular leak is also known as perileak, perivalvular leak, and periprosthetic leak. Paravalvular leak across a mitral valve where blood can be seen leaking backwards into the top chamber of the heart. Video of paravalvular leak showing blood leak backwards across a mitral valve into the upper chamber of the heart. Why Do Paravalvular Leaks Happen? In surgically replaced valves, the valve is stitched into place by a surgeon. These stitches can become loose, often due to wear and tear and often due to the fact that there is a lot of calcium in the natural heart tissue and the stitches simply pull through. Once they become loose a Paravalvular defect occurs allowing a Paravalvular leak. In minimally invasive placed valves, such as in the TAVR procedure, valves are typically expanded in to place, but sometimes due to the presence of hard pieces of calcium in the natural heart tissue the valves cannot fully expand. These areas can lead to Paravalvular defects and Paravalvular leak. How Long After Surgery Do Paravalvular Leaks Happen? Most commonly paravalvular leaks occur many years after valve replacement surgery and simply due to wear and tear. Unfortunately this can sometimes be seen soon after surgery due to stitches becoming loose or tissue tearing through the stitches and not holding in place. This is frustrating, however it can happen even in the best of hands. In the case of TAVR procedures, the leak can usually be seen immediately and if large enough can be taken care of at that time so patients can leave the operating room without significant paravalvular leak. How Much Paravalvular Leak is needed to Cause Symptoms? In general small Paravalvular leaks will not cause symptoms. The exception is in a condition called hemolysis where the leaking of blood can lead to destruction of red blood cells and cause anemia due to the blood count dropping low. Hemolysis can occur with larger leaks also. Paravalvular leaks that are moderate or severe in nature can lead to symptoms. What are the Symptoms and Signs of Paravalvular Leak? The most common symptom of a significant leak will be that of heart failure. This can include shortness of breath, swelling, heart flutter, atrial fibrillation, and easy fatigue. Symptoms will typically be worse with exercise. On examination, patients may have evidence of fluid retention and patients with Paravalvular leak will typically have a heart murmur. How is Paravalvular Leak Diagnosed? Patients with Paravalvular leak will often have a heart murmur that can be picked up with a stethoscope. Once there is a suspicion for Paravalvular leak then patients will undergo a test known as a transthoracic echocardiogram (TTE), an ultrasound scan of the heart. Paravalvular leaks are often hard to diagnose however, and may not be picked up by the transthoracic echocardiogram. Often, a test known as a transesophageal echocardiogram (TEE) is used. In the TEE test, a small echocardiogram probe is passed down the food pipe and used to obtain very high-resolution images of the heart in great detail. This is the gold standard way of diagnosing the Paravalvular leak. Personally, when investigating para-valvular leaks I will perform a 3D-TEE, to not only diagnose the defect, but also to obtain useful information regarding how to fix it. Is there medicine for Paravalvular leak? Paravalvular leak is a mechanical problem and so the only definitive treatment is to fix it. Patients with signs and symptoms of heart failure may need diuretics. Diuretics are water tablets to help get rid of excess fluid and may improve symptoms until the defect can be fixed. In patients with anemia related to hemolysis from the defect as described above, blood transfusions may be required for symptomatic treatment until the defect can be fixed. How can Paravalvular Leaks be fixed? Traditionally patients have required repeat open-heart surgery to fix Paravalvular leaks. However recent advancements in technology means that in a few expert centers such as Princeton Baptist Medical Center in Birmingham, Alabama, minimally invasive techniques can be used to repair these defects. This is known as percutaneous repair of paravalvular leak. In the case of surgical repair, the procedure is an open-heart procedure and will typically involve placement of a new valve. The risk is of course higher with open-heart surgery and depends on other factors such as how well the patient is in general. In the case of minimally invasive percutaneous repair, the defect is repaired through a small tube placed in to the artery in the leg. The equipment is passed up to the heart through these tubes and plugs are placed obliterating the leak. After performing this procedure I’ll often send Paravalvular leak patients home the next day. The following animated figures demonstrate the imaging acquired during a repair procedure using a trans-esophageal echocardiogram and a fluoroscope. Expert use in these imaging techniques is required in order to safely and effectively perform such a procedure. Paravalvular Leak – 3d Images. By the side of the valve there is a large paravalvular leak seen where blood can be seen leaking backwards to the top chamber of the heart. Paravalvular Leak Fixed – 3D Images. A plug can be seen that has been placed in the area of leak and getting rid of the paravalvular leak. This plug was placed without having to perform open-heart surgery, a technique known as percutaneous repair. Paravalvular Leak Fixed – 3D Images. The plug used to fix the paravalvular leak can be seen clearly here by the side of the valve where it is seated nicely without interfering with the valve itself. In these X-ray images, a patient that has had a TAVR procedure for their aortic valve had a leak around the TAVR valve after the surgery causing symptoms. A plug was placed through the leak and can be seen here before being detached from a delivery cable. This was performed without the need for open-heart surgery. This shows the plug in place after detachment. The metal mesh structure in the center of the image is the aortic valve that was delivered during the TAVR procedure. Thanks for this article …nicely explain and describe with image,so much new things are there.just love it. What are the long term effects or down falls of this procedure. I’m 47 and am on my second mitral valve. Do you have a paravalvular leak? If so do you have a mechanical or a biologic prosthesis? Yes. I just read it on CHSLI Mild.PLV present. I am scared . I had TAVR on 1/11/17. My husband has two Saint Jude mechanical heart valves one for the mitral and one for the aortic and both have para valvular leak diagnosied in May 2018. Valves were placed in September 2015 and hemoglobin has never been back up to normal since open heart surgery in September 2018. He has had several hospitalizations and 17 blood transfusions since September 2015. When he received the para valvular leak diagnoses a Dr fixed mitral para valvular leak and hemoglobin is almost normal (12) and he is doing so much better. Yes I do. I put my valve in 8 years ago its a pig valve… I had the para leak since 6 months of putting it in. I am weirdly dizzy and fatigue.even when lying down… feels like the world is spinning even whwn im sitting and its scary.. I have had my whole body examined head to toe and all I I have is this valve disease…..why can’t I stand up anymore…. Husband had Tripple bi pass and prosthetic aortic valve replaced 7 years ago….2 weeks post op…a mild paravalvular leak was found….he is non smoker, exercises and is not overweight.. If his only issue is a mild paravalvular leak, and he has no symptoms and the heart is not felt to be dilated then it should not cause an issue. 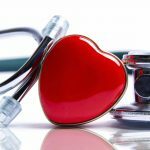 This article was very informative and helpful my brother is mentally retarded and had to have a valve replacement over 20 years ago and the cardiologist notice a murmur at his annual visit hopefully after testing I hope it minimal and he can have just the leaks closed the open heart surgery was a long battle for him and I am not sure if he could tolerate that procedure again. Hopefully the murmur is not too serious. If it turns out to be a paravalvular leak, in my opinion it should be attempted percutaneously in the first instance if it is felt to be amenable. I am 18 years old with a mechanical aortic valve with minimal paravalvular leak, with no symptoms. Is the surgery always needed for the leak ? I had lived with a signifigant leak out from my old aortic valve for all of my life until I started showing symptoms. If you have minimal leak and no symptoms, the treatment is observation. Sir, i am a 23 year old and had undergone two open heart surgery 1st for ASD Closure in 1998 and other was for AVR in march 2016.But now during the follow up checkup i found a grade 2 to 3 paravalvular aortic regurgitation in my Echocardiography report.How severe is this and do i need another surgery for this.i haven’t developed any symptoms yet.since i have undergone two open heart surgery so i just wanted to know is there any other way of treatment for this problem. If you have no symptoms and the leak is moderate it may be appropriate to just monitor it. If it needs fixing i would probably suggest a percutaneous approach first. Question – is there any where in Central Florida this procedure is done? My 37 year old daughter has had 2 open heart surgeries. The first to repair an aneurysm on the ascending aorta and replace the aortic valve. The second was to replace the bio-valve with a mechanical when it was discovered the first valve was to small. The second surgery came with many complications, in short 74 days in CICU. Now she is experiencing pain, dizziness, shortness of breathe, and fatigue. A hospital she was sent to, via ambulance, performed a TEE and told her she has a leak at the stitch site of the valve. She was discharged and sent to her primary care who referred to the surgeon who did the second surgery. He said is was not the stitch but, the valve itself and that it is very common for this to happen, a small leak. No action of any kind is necessary. She is still experiencing the pain and has been taken back to the hospital that discovered the leak via TEE. They are telling her she needs something done. Our concern is she almost didn’t survive the second open heart surgery and I am afraid she will not survive a third. So, I am asking is there anyone in Central Florida that can perform this technique TAVR or is this not the proper use for this technique? I appreciate any additional advise you may give. Im happy for her to be seen at or center, we see a lot of patients from Florida and have a large experience. In this situation would typically fix transcatheter rather than open heart surgery. My father has BIO prosthesis valve replacement on 2008.now he is having leakage problem.what are the solutions? Is it intravalvular or paravalvular regurgitation, how old is your father, and what was the size and type of valve? MItral valve replaced with St. Jude valve 29 years ago. Aortic valve replaced with ATS AP valve 6 months ago. I went in for a six month check up this week and learned that I do have a small leak with the new valve. My cardiologist said this is “common” and that most likely it was caused when a suture did not attach well, perhaps due to calcium. I left his office feeling very good and comfortable. Then I consulted the evil Internet and my confidence has plummeted. My heart issues are a result of rheumatic fever at the age of 16. I have been fortunate to always participate in life: biking, skiing, hiking, competitive duplicate bridge, reading, travel . . . and being a parent to two children and a grandparent to four. My husband is a retired school administrator. He became a fly fishing guide for Mountain Angler in Breckenridge, Colorado, and I fly fish with him. I have a college degree from Colorado State University and a master’s from the University of Colorado in Boulder. Judy, if the leak around the valve is indeed small it is not considered clinically important and can just be observed maybe with yearly echocardiography to ensure that the leak doesn’t progress over time. The leak will not necessarily increase in severity, although you need to be aware of symptoms such as fatigue and shortness of breath and report these symptoms if they occur. On a good note, i see a lot of these valves that are sent for second opinion that have leaks around them and fix them using catheter based techniques so typically a further surgery isn’t required. I’m very impressed with your expertise and answers this is really helpful for a lot of people. We live in Holland otherwise we would have come to you. My mother 75 just had a TAVR Procedure to place a new Aortic Valve. During her Surgery she had a mini stroke which effects her sight which expects to heal again. Other then that she feels much better with the new valve. However my question is about leakage. The new valve is leaking Paravalvular (Minor or Moderate, we don’t no) and you mentioned it might cause hemolysis (which leads to destruction of red blood) , since her Hb is dropping from 6.8 to 6.3 in a week I was wondering why a leak causes destruction of red blood cells ? Our doctors do not have a blog like you otherwise I would ask them. Thank you so much for sharing your wisdom and answering our questions. Mild leakage may be seen commonly after a TAVR procedure and sometimes mild to moderate depending on valve characteristics and the degree of calcium in the valve. The fact there was a stroke also in this case suggests to me that is the case and there was a lot of calcium which is why there is a leak. I am just speculating however and would need to see the images to comment further. Paravalvular leaks may cause hemolysis due to the increased turbulence across the leak that leads to mechanical destruction of the red blood cells directly. This is usually seen after mitral paravalvular leaks and much less so for the aortic position. When i close a mitral paravalvular leak the indication can commonly be hemolysis however in the aortic valve it is usually due to heart failure symptoms and the leak at least moderate in nature. With regards to this case, did they place your mother on blood thinners afterwards? i wonder if these have led to bleeding of some sort. Regardless the level is low and needs to be investigated and treated appropriately. I doubt the leak is related, however some simple blood tests (ldh, haptoglobin etc.) can confirm that if suspected. She has anaemia for the past 15 years without knowing the cause and takes Ferro Gradumet 105mg daily. After research I found Heyde’s syndrome which should improve after TAVR. Your information was very helpfull in understanding that in my mother’s case it is more likely that there is an other cause for the Hb drop (and less likely hemolysis ). I will update this thread in the future if I have more information. Thank you very much ! preventive , if leakage is expected due to sever Aortic Stenosis? Are new valves developed that can mold a little to minimize leakage ? while the Valve currently contains Metal ? But does it not in a few months ? In TAVR it depends on the mechanism of the leak. If the valve is too small then a post-dilation using a balloon may suffice. If there is calcium involved I typically use plugs that are placed in the area of leak that usually eliminate it. The procedures are typically performed though the leg artery. The leaks are much less with the newer generation valves that have inbuilt mechanisms for leak prevention. I would suggest informing the MRI people that a TAVR valve is present so precautions can be taken however it should be fine. I am a male, 74 yrs. and have had an Aortic valve replacement 7-1/2 yrs ago. I have been having symptoms of shortness of breath, extreme fatigue, and dizziness for about 3 yrs and have been complaining to my PC and Cardioligist about it with no response except see me in 3 months. I also am a Type 2 Diabetic. I had a brain scan 2 months ago and they found a spot on my brain, the neuroligy Dr said it was from a stroke. Two days ago I had an ECHO and my Cardioligy Dr. said I have a leak in my Aortic Valve that was replaced. I asked him if I should make an apptmnt. with the heart surgeon that did my valve replacement and let him know and he said no! That I should wait and he will check on the leak from time to time and see if anything should be done. That is all he said. I need more info., this just dosen’t seem right to me. Do you have any advice? I don’t know enough details of the case to give specific comments, in your case the mechanism and the severity of the leak need to be defined. The many symptoms and the stroke mean that valve related issue such as endocarditis need to be ruled out. In terms of the valve, degeneration is expected over time and typically the leak would need to be toward a severe range to necessitate intervention for that alone. At the age of 88, TAVR is pretty much always going to be the preferred method of aortic valve replacement. If TAVR can be performed here then its pretty difficult to justify even entertaining open heart surgery. I have done many TAVR on bicuspid aortic valves with good results, the key is careful planning with approach and valve sizing. In terms of risk i don’t see it being significantly higher for a bicuspid, however historically there has been an increased concern for leak. Data suggests that this leak has been more mild than moderate or severe the key is to accurately size the valve with CT scan. I have an arotic valve replacement and the valve is not a mechanical valve but the other type that does not require Coumadin. I feel great and really no symptons Should I be concerned about this I see my cardiologist once a year. You have no cause for concern for a mild leak with no symptoms. In april of 2013 I had my tricuspid valve replaced due to severe damage caused by pacemaker leads. In late January of this year, I noticed an increase of SOB, palpitations, and chest discomfort. Was advised to go to the ER, where the ECG showed that I had suffered a heart attack. I was transported to another hospital, where doctors informed me that my BNP was elevated, as well as elevated D-dimer. They then put me on lasix, and the following morning did an echo which showed moderate tricuspid valve regurgitation. They then opted to follow up with a cardiac CT scan with contrast, which indicated moderate to severe tricuspid valve regurg, with significant contrast reflux in the inferior vena cava. I am being scheduled for a TEE in June (earliest I could get scheduled), but am wondering what you would suggest – should I wait that long, and is it possible to have a procedure to correct the problem without major open heart surgery. This would be my 3rd open heart. Thanks for any suggestions you may have. Its difficult to know your surgical risk without comprehensive history/physical and seeing all reports from the past. In terms of the tricuspid regurgitation, severe tricuspid regurgitation has a poorly tolerated course over time. I suspect in the next 5 – 10 years we will have the technology to treat this through a catheter however as things stand this is not ready for primetime. In our institution we generally perform robotic tricuspid valve procedures even for redo cases. My recent echocardiogram showed mild para-valvular leak of the prosthetic Arotic valve. I am concerned about this and hope I do not have to have another open heart surgery. I am 84 years old and in very good health because I eat healthy and of normal weight and I exercise and life weights. the operation which resulted in me being fitted with a pacemaker. I am 76 year old and in good health. would another valve replacement be in order.? Thank you for the article, it is very helpful! I’d like to ask you a question. My mom is 59 years old, and had 4 open heart surgeries due to complications of rheumatic fever. In the last surgery a mechanic cal valve was implanted. For the last three years she has had severe hemolytic anemia, and has recently been diagnosed with paravalvular leak. She also has developed severe pulmonary hypertension and has heart fibrillation since the first surgery. Her doctor said intervention is not a possibility due to all of these problems, and that she might treat the anemia with drugs or blood transfusion, and eventually a heart-lung transplant. I am not a doctor, but I’ve been looking for information online and I’ve read so many cases of percutaneous surgery for PL in cases that sounded even worse than my moms. Just with this information, would say it could be possible for her to have a non-invasive PL surgery? Also, could you recommend a surgeon and PL specialist that could take a look at my moms case? A paravalvular leak can be a cause of hemolytic anemia and symptomatic heart failure. I see a large number of patients sent for leak evaluation and would be happy for you to be evaluated if practical for you. It may be more simple to coordinate with my office and have the films uploaded initially so i can review them to see if the leak is felt to be significant or not. I fix the leaks through a catheter approach which is vey minimally invasive. Thank you for the article, it is very helpful! I’d like to ask you a question. My mom is 59 years old, and she has had four open heart surgeries due to rheumatic fever. In the last surgery, 17 years ago, she had a mechanical valve implanted. For the last 3 years, she has had severe hemolytic anemia, and was recently diagnosed with paravalvular leak. She has also heart fibrillation since the first surgery, and severe pulmonary hypertension. Her doctor told her pretty much there is nothing she could do due to her age and complications, that she could maybe treat the anemia with blood transfusion and eventually a heart-lung transplant might be necessary. I ‘ve been reading about this, and I have seen so many papers talking about people that are much older, and that look like have more complications than my mom (to my eyes, I am not a doctor), and they have the percutaneuos closing of the PL with success. Do you think that could be an alternative to my mom? Could you suggest a specialist (maybe yourself?) for an appointment? Thank you very much, Carolina. 1. There is moderate concentric left ventricular hypertrophy. The left ventricle is hyperdynamic. 2. There is hypertrophy of RVOT leading to mild dynamic flow acceleration. The right ventricle is hyperdynamic. 3. There is a bioprosthetic aortic valve with normal leaflet motion. There are probably two paravalvular leaks noted with the larger being moderate in severity, arising anteriorly and directed posteriorly. We finally saw the CT surgeon who performed the TAVR for his opinion. He did not recommend further surgical intervention as he stated the leak was due to calcifications near the old valve and the benefit of a redo was low. He attributed her clinical decline to deconditioning and malnutrition. He recommended cardiac rehab and increased nutrition. She is currently in rehab but requires supplemental oxygen with minimal exertion. We understand the need for the surgery with the severe AS but are disappointed with the results as her functional status appears worse that before the TAVR. We are currently focused on increasing her weight and strength, but this remains a challenge with her work of breathing (RR at rest in the 30s). Reading your article, it sounds as if she is having symptomatic heart failure and the leak appears to be significant despite the CT surgeon’s assertions. Considering my mother’s course, what conclusions can you draw from her symptoms and most recent TEE? 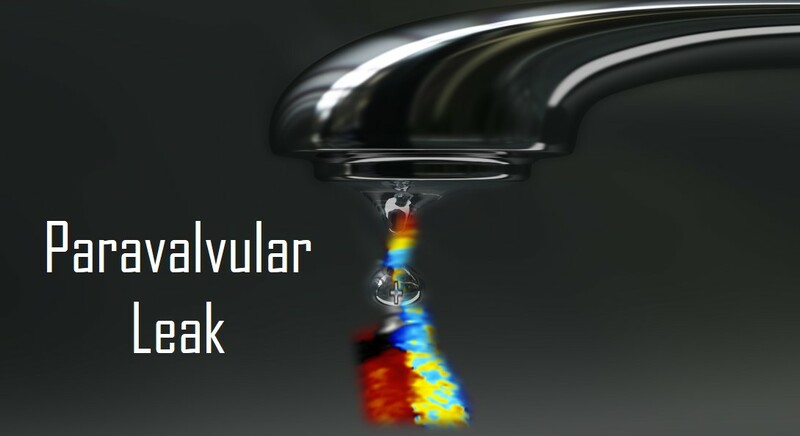 A moderate leak can certainly be symptomatic, there are treatment options available however its important to ensure the treatment (paravalvular leak repair vs postdilation vs other) is justified in terms of risk. My next step here would be to look the the TEE and determine suitability for repair and perform a left heart catheterization for aortagram and EDP measurement to see if the pressures in the heart are high and to determine the relative contribution of the leak. Thank you for your article and blog. It is the most helpful I’ve found on the web. I am 70 Years old and since 2 years ago i have been experiencing fatique and severe aneamia. I had ASD repair back in 2011 in Cameroon, Africa with a possible pulmonary vavle replacement. I am presently in the UK and have been examined extensively with the following main diagnosis: Severe Pulmonary hypertension (PAP 94-104 mmHg), Right Heart failure, Moderate TR, Paravalvular regurgitation, moderate MR into severe dialted left atruim, LV ejection fraction 65%, early Liver cirrhosis and hepatosplenomegaly and diastolic mumur in the pulmonary area. I am curently on the following drugs for management therapy (Ferrous Furmarate 210mg 1 bd, Fursemide 40mg 1 bd, Bisoprolol 1.25 mg). I have been on the therapy for almost a month now and experiencing significant improvement. Wanted to get your advice if surgery will help improve my condition further and if there are risk associated. Is the paravalvular leak mitral? Great article! First one I read that clearly explains symptoms associated with PVL. I had a triple heart bypass in 1996 with post sternal osteomyelitis. Because I was in the extreme risk category for a 2nd open heart surgery I had a TAVR in May of 2016, and have mild to moderate PVL. I also have a porcelain aorta from mantle radiation for treatment of Hodgkins Disease in 1966. I was also diagnosed with restrictive cardiomyopathy and had symptoms of congestive heart failure 6 years ago that was treated with furosemide 40mg daily. I still play tennis although I get a little short of breath but I seem to be unusually tired every day. Interestingly enough, I stopped taking the furosemide and have no swelling or shortness of breath with walking or any non exertional activity. Do you think I would be less fatigued if the PVL was repaired and am I at greater risk for a problem even if the leak is fixed percutaneously? Its possible a leak cause symptoms, particularly if in the moderate or greater range and with known restrictive heart disease. If the leak is indeed moderate or greater (Assessed by TEE) and the symptoms warrant it then an attempt at PVL closure may be warranted if the risk to benefit ratio is felt to be favorable. in some cases a left heart cath with EDP measurement and aortogram may be useful in clarifying things. This depends on a number of factors such as location, calcium presence and operator experience. Your history of porcelain aorta and radiation make your case higher risk although not a contraindication. Do you think I would be less fatigued if the PVL is repaired, and am I at greater risk for break away plaque due to my porcelain aorta even if the leak is fixed percutaneously? Hello Dr Ahmed thankyou for all the great information . Great question and to be honest it differs on a case by case basis. I hesitate to give you a treatment plan, as i know from experience with dealing with a great many of these that they are complex situations. Firstly i would make sure that the treating interventional team has adequate case experience with such cases, mitral paravalvular leaks are amongst the toughest cases, its not just important to get a plug across the leak, but to ensure its resolution by adequate device placement. In terms of is the tissue suitable, i would have to see the images to comment on the suitability of the tissue and the characteristics of the leak, a good 3D TEE is required. I can tell you though that when done well that the plug certainly can be an attractive option. Thank you for this article. I am 43, had a MVR (StJudes) due to Endocardis almost 11 years ago. I’ve had no issues until recently. At my annual visit to my cardiologist, a significant murmur was detected. Followed with an Echo and TEE which shows a severe paravascular leak, yet I have no symptoms. I exercise 6-7 days a week, and keep up well with my very active 10 year old twins.. I feel fine. My cardiologist feels this is severe enough to warrant intervention. I was referred to UPenn in Phiadelphia for a consultation to have the leak fixed through catheter. However, this specialist has reviewed my case and feels a plug is not aporopriate and will interfere with the valve working appropriately and will need to be fixed surgically. He in turn referred me to a surgeon, also at UPenn, with who I have a consult next week. It is uncommon to have a PVL that cannot be fixed with a plug? It’s hard to believe this is necessary when I feel completely fine, and have for over 10 years. I am most worried about complications and recovery time of a second open heart surgery. Is PVL a recurring problem and what is the likelihood of this happen again? Paravalvular leaks are thought to have a more aggressive course than native valve leaks and therefore some specialists may be more likely to want to close them. I personally look at several factors when determining the need to intervene. In those without symptoms, i will typically perform treadmill testing and likely a stress echo type of test. This is to see if there is reduced functional capacity or adverse effects on the geometry or function of the heart at rest. If none of these are present then also a discussion with the patient that there is no firm evidence that fixing an asymptomatic leak without adverse effect is beneficial, however it may still be an acceptable idea to close it. In terms of the use of the plug it depends on the operator and experience. In our program we are pretty much always going to recommend a percutaneous approach initially if feasible. Yes its true that in certain mechanical prosthesis there is a potential for valve obstruction, however most the time we are able to still see success with a percutaneous plug approach. In the few cases that surgery may be recommended, a truly non percutaneous candidate and often younger patients that are good surgical candidates, the risk of a re-operation is very low, furthermore we typically use a robotic approach to allow a faster recovery. I have seen cases referred to me of recurrent leak after a re-operation and its always possible, although uncommon. Dr. Ahmed, I was searching the Internet for valvular leaks after TAVR and found this article (which is the BEST I have read very helpful). I did not realize it was your article until I reached the end! Two years ago, my father had his mitral valve replaced via TAVR at Princeton with Dr. Bakir and you were involved in the case. I found great comfort in your article because my father has developed a leak warranting plugging next week. Thank you for your dedication and pioneering in this field. The TAVR has given my father a better quality of life and I have every confidence the repair will be successful. Hi, i’m glad things have gone well and that your experience here at Princeton was good. Did you mean mitral valve or aortic valve? With regards to paravalvular leak repairs they are complex defects and procedures and its important these are performed in experienced hands that are specifically trained and have performed many of these. Each leak is different and needs evaluating carefully and its important to plan carefully and not interfere with the already placed valve. I personally only perform cases at Princeton with the team there and so will have no involvement if performed elsewhere. Hope all goes well! Sir, Great articles and responses… I had a aortic valve and graft surgery done in 2014, and then a pacemaker about a week later, all done in Buffalo,NY. Today after doing a routine echo last week, i just found out i have a small paravalvular leak. My cardiologist relayed the message via a nurse, when i called,that i shouldnt be worried and something we will just keep an eye on. Easy for him to say. My blood platelets are always below normal and that was told to me its probably due to the valve opening and closing on them. Nurse told me everything else looked great..gradiant etc. But she didnt know anything about fixing this issue. Are there things we should stay away from like exercising…i lift heavy weights and use the tread mill, does this affect this kind of leak, since it does cause stress on the heart? Looking for your thoughts on this. Im very stressed out. Thank you for the great responses you have given . A small paravalvular leak in most patients is not of any clinical significance. In some patients with paravalvular leak there can be a destruction of red blood cells known as hemolysis and a drop in red blood cell count. In terms of the platelet count, if it is felt to be significant a hematologist should likely rule out other potential causes prior to attributing it to the valve. The leak itself if small is unlikely to be affected by exercise or weight lifting. I am 79 years old female , great health and active. Had a heart murmur for more than 40 years and it was checked yearly, then every 6 months , no symptoms, and on Sept 5, 2018 had a TAVR procedure to replace aortic valve at Baptist Hospital Miami, Fl. All went fine but 3 weeks after they detected a small paravalvular leak. My Hemoglobin was down to 8.5 when I left hospital; a week later blood work showed that it had gone up to normal 11.5. I feel very well with lots of energy. No problem at all. Do you think I need a TEE and plug? In general small leaks are not troublesome clinically and would simply be observed without need for TEE or plug.